In this video I am demonstrating the “Hanging Jackknife” exercise which is very effective for conditioning/strengthening of the anterior kinetic line. 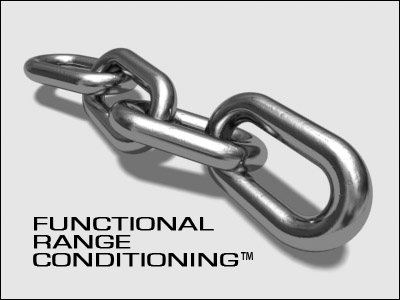 As manual practitioners, especially those who work in a sports setting, the line between rehabilitation and performance training is often blurred when managing patients…thus it is important not only to be knowledgeable regarding rehabilitative exercises, but also more advanced exercises that will progress the patient/clients functionality. The proper execution of the Hanging Jackknife requires a medium to advanced level of core strength and control. Ensure that the client maintains an abdominal brace during the entire movement. Also ensure that the proper steps are taken in terms of preparatory exercises as is discussed in the video. Thanks for explaining the truth about abs.